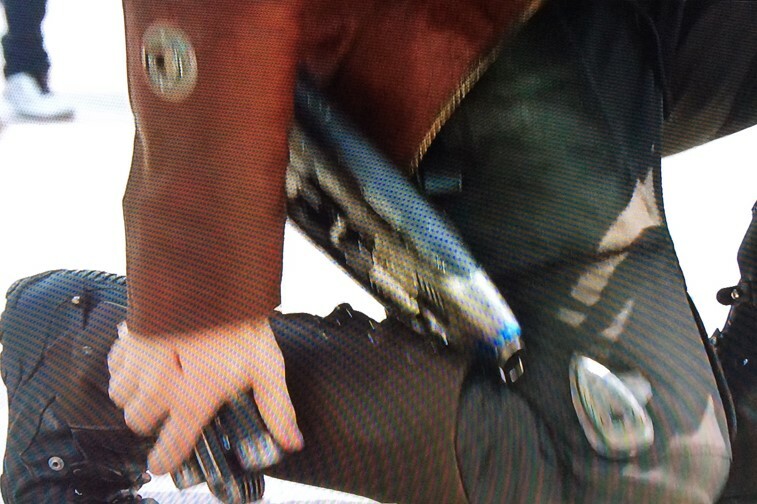 Rocket Booster Controls: Details, Details, Details… | Becoming Star-Lord. These controls are another small detail which I probably could have skipped. See the booster control on the leg? At first, I thought about making them. They don’t seem terribly detailed. In preparation, I began looking around for close ups and other fan made mock ups to base my model off of. While searching, I ended up on Etsy and found some cool models for sale. One, in particular, caught my eye. 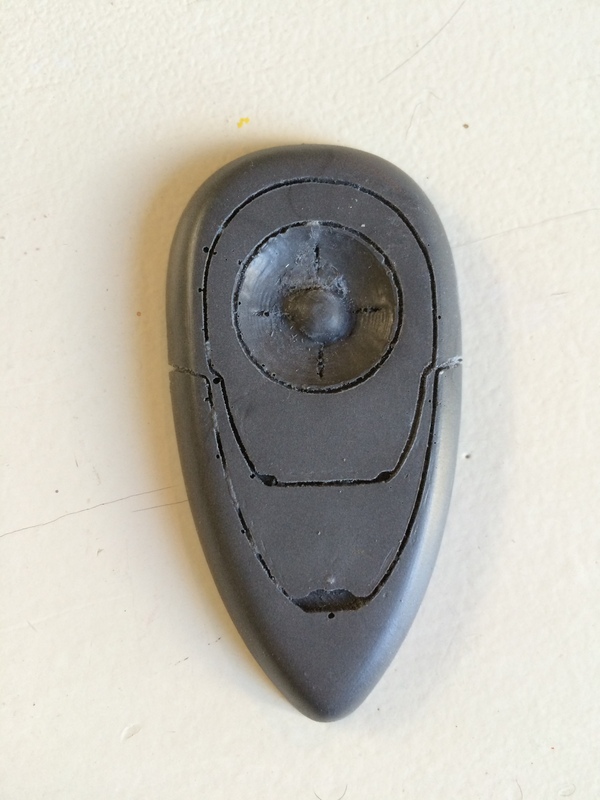 A shop called Nova Props cold casts rocket booster controls from hard plastic. 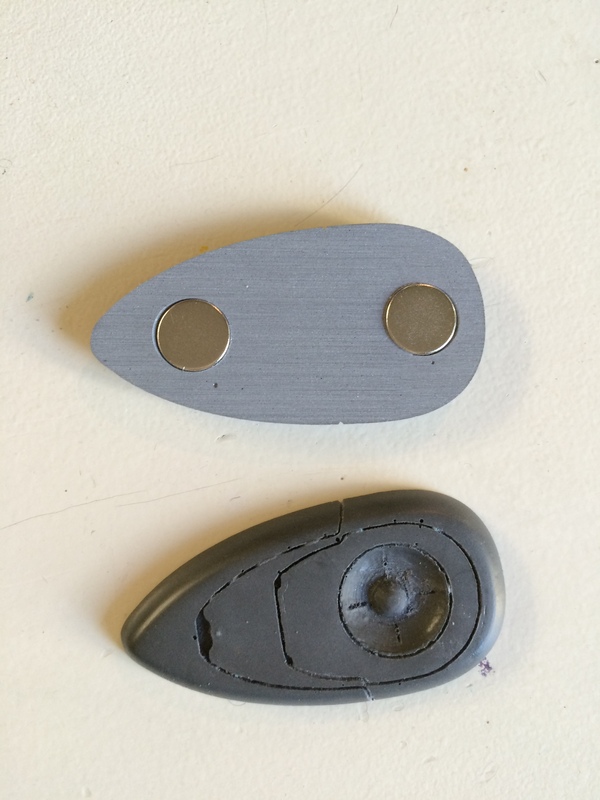 What sets them apart from other fan made props is the strong magnets inserted in them. 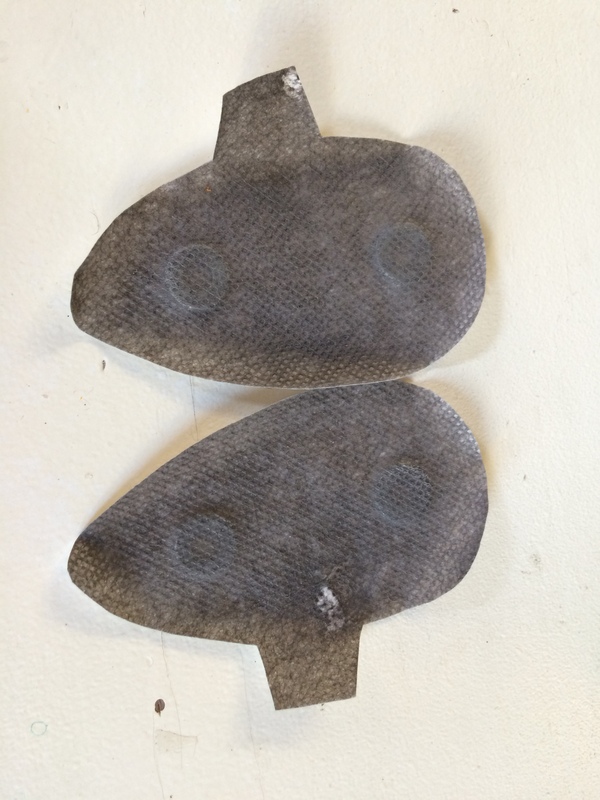 Nova props sells the controls with iron on patches containing magnets of their own. As you can see, it needs some finishing work. This shows the front and back. You can see the magnets. These are the rocket control patches. As you can see, the controls need some finishing work. Shouldn’t be hard to finish them in the same way I did the rocket boosters. One step closer. It’s amazing how many steps there are to getting this done. This entry was posted in Props, Rocket Booster Control and tagged charity, Chris Pratt, cosplay, costume, disney, guardians of the galaxy, Marvel, rocket booster, rocket booster controls on July 17, 2015 by Liam.